You want customers’ first impression to matter when they pull up to your business. That starts from the moment they drive onto your parking lot, and have room to exit their vehicle. 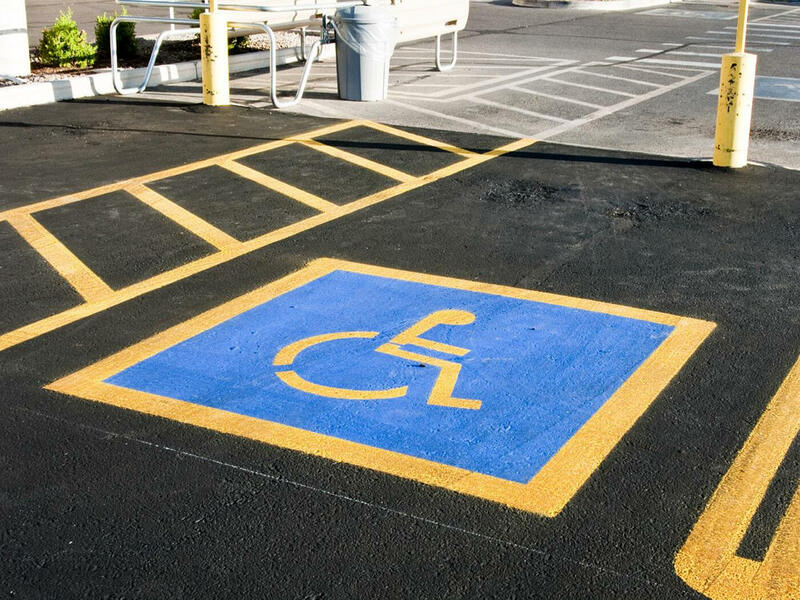 We have mastered the art of parking lot line striping and marking so that you and your customers can be happy and comfortable from the get-go. We know how to paint convenient parking lot routes and give each car enough space so that when people open their car doors they aren’t having to deal with insurance companies, and we can do this without sacrificing all your parking lot space still providing plenty of parking. We have paved a number of Baltimore County parking lots and are experienced with repairing all types of conditions. We provide professionalism in everything we do and offer only the best quality work for your parking lot so you don’t have to call companies non-stop to keep your lines bright. This is not limited to just parking lots. We also specialize in road surface marking, curb painting, road designs such as handicap parking and direction arrows, signs, and lines or painting of any surfaces you walk, jog, run, or drive on! And worry not, we have every color paint you need whether you’re getting double yellow lines, dotted white lines, or crazy pink lines (although, we don’t highly recommend getting the crazy pink). Call us today for the best parking lot maintenance in Baltimore MD!